Car accidents can be incredibly harrowing times even for the hardiest of souls. This is especially true if you or a loved one were injured during the accident and are facing a tough road to recovery. In these cases, it can be easy to look at the different insurance providers involved and opt for whatever settlement comes your way, but the fact of the matter is that this could be a mistake. An insurance provider will often attempt to offer the lowest settlement amount possible because they are depending on your desire to simply rest and recover rather than fight for the compensation you deserve. An experienced personal injury attorney can help you get the justice and compensation you deserve. If you have been injured in a car accident, you might be entitled to recover your financial expenses. 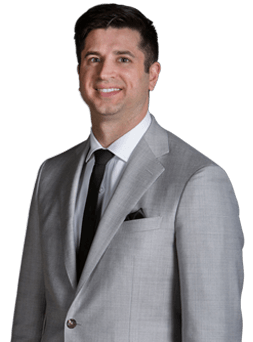 In order to determine if you have a case and to craft the best approach possible when it comes to handling a case, you need an attorney with plenty of experience. At Semko Law Office, we have the knowledge and experience to take your case and ensure that it receives the attention that it deserves. Semko Law Office works passionately to ensure that our clients receive the compensation they deserve as quickly and easily as possible. If you or a loved one have been injured in a car accident, you might be wondering exactly where to go from here. On a practical level, the first thing you should do is stop. While many people believe that it is morally right to stop after an accident, they might not be aware that it is actually state law to do so if the accident in question causes damage to any vehicle. Exchange your insurance and driver’s license information with the other party. Something else to note is that if the accident causes death, injury, or property damage in excess of $1,000, you are expected to offer “reasonable” aid to individuals who are injured and make sure to report the accident to the closest police department within 10 days. The state of Indiana recognizes something known as comparative fault. This means that you don’t have to be entirely “innocent” in order to recover damages from the accident. It is possible, for example, to be partially at fault for an accident but for the other party involved to be more at fault. The amount of money that you can recover depends upon how at fault you are determined to have been in the accident. If your medical bills cost $1,000, for example, and you were found to be 30% at fault, then you can collect 70% of your damages – so $700 in this example. The other $300 corresponds to your 30% of fault, and is money that you cannot recover as damages. Car accidents can be incredibly confusing. At Semko Law Office, we strive to help you get the best result possible. Contact us today for help!